13 December 2013 — Welcome to the Oracle Information InDepth Newsletter: MySQL Edition for December 2013. We recently announced the availability of the MySQL 5.7.3 Development Milestone Release (DMR), offering further improvements in performance, optimizer, InnoDB, replication, and more. Learn more details in this edition and try it out. 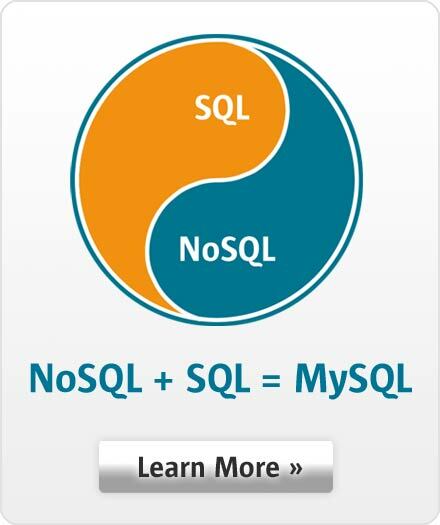 3 December 2013 — Welcome to the Oracle Information InDepth Newsletter: MySQL Edition, November 2013. Oracle announced the availability of Yum repositories for MySQL, making MySQL 5.6 more easily accessible to more users. Also announced were new MySQL 5.6 certification paths. You can participate in the beta program now until December 21, 2013 to receive your certification at a lower price. Read more details and certification preparation tips in this edition. 26 November 2013 — In Building business-critical applications exhibiting high levels of availability, reliability and security requires a solid, high-performance database. Since 2009, digital direct marketing provider ContactLab has relied on MySQL Enterprise Edition to strengthen the data management of email and SMS campaigns. To help ensure the company continues to benefit from the high performance, secure and reliable database infrastructure it needs for on-going innovation, ContactLab has standardized on MySQL Enterprise Edition. 14 October 2013 — Welcome to the Oracle Information InDepth Newsletter: MySQL Edition for October 2013. During the opening keynote at MySQL Connect on September 21, Oracle announced the latest development milestone release for MySQL 5.7, along with general availability of MySQL Enterprise Monitor 3.0. In this edition, learn more about the new features as well as read the highlights from MySQL Connect 2013. 12 August 2013 — Expanding data volumes and Web, cloud and mobile computing growth have increased management challenges for database professionals. To help developers and administrators better manage these dynamic data environments, Oracle has released MySQL Workbench 6.0 with a redesigned user interface and new features that allow users to simplify MySQL database development, design and administration. 8 August 2013 — The LAMP stack (Linux, Apache, MySQL, PHP) became the leading web platform during the past decade, with major web properties worldwide relying on it to scale their operations. Numerous startups and large organizations leverage the LAMP stack to improve operational efficiency and reduce costs, deploying applications either on-premise or in the cloud. Join us to better understand how you can cost-effectively and safely implement and scale your LAMP applications relying on Oracle and Zend. 18 June 2013 — With the accelerated pace of innovation in Web, cloud, social and mobile services, the new GA release of MySQL Cluster 7.3 makes it simpler and faster than ever for developers to enrich their applications with a highly available and scalable, fault tolerant, real-time database.